Handmade with natural ingredients, this vegan soap from Suma is a sensual blend of orange and spices with added aduki beans known for their cleansing properties. Paraben, SLS, palm oil and cruelty free, this soap invigorates and revitalises, leaving you feeling reenergised and ready to go. 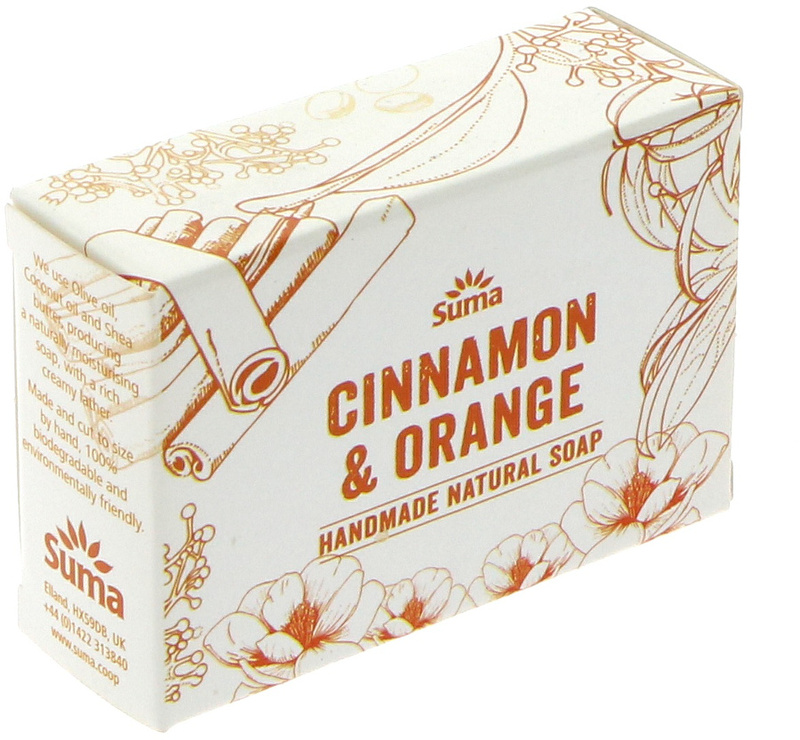 The Suma Handmade Natural Soap - Cinnamon & Orange - 95g product ethics are indicated below. To learn more about these product ethics and to see related products, follow the links below. Smells great and doesn't have palm oil! Amazing buy! Lovely soap. Lasts a while and smells lovely. 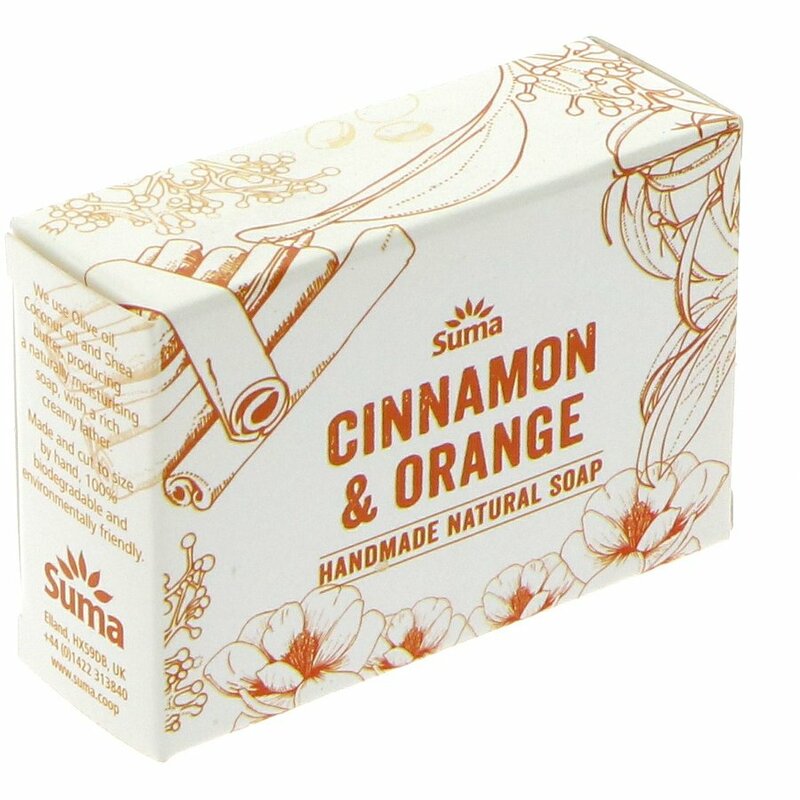 There are currently no questions to display about Suma Handmade Natural Soap - Cinnamon & Orange - 95g.